The perfect aesthetics of simple elegance All of the elements in the yps product range are united by the continual reappearance of the “Y” shape in their design – this applies to the yps bench as well. Derived from the yps table, the yps bench’s legs stand out immediately, and the y-shaped quilting on the upholstery reveals true craftsmanship. This feature anchors the upholstery’s appearance and balances the bench’s seat pan. The high-quality micro-pocket spring construction works together with the cold foam to provide long-lasting, superior comfort. 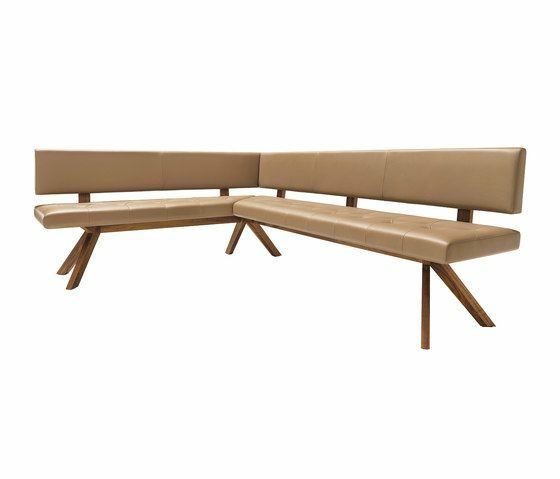 The yps bench is available as a corner seat or a straight bench, may be upholstered with textile or leather, and comes with or without a back.